Since ancient times, hot springs have been noted as places of spiritual and physical healing. Luckily for Colorado's guests and residents, there are endless hot springs scattered throughout the mountains. From Pagosa Springs to Steamboat Springs, we've put together a list of some of the best natural hot springs in Colorado for you to enjoy. Dunton Hot Springs (Dolores, CO) - Abandoned by miners in 1918, this ghost town has been renovated into a one-of-a-kind resort. While a variety of pools are sprinkled across the property, some cabins have their own private hot springs. The Springs Resort and Spa (Pagosa Springs, CO) - Enjoy a soak in a pool filled from the world's deepest hot spring. Choose from 20 soaking pools and 5 adults-only pools at this luxury resort. Pools range in temperature from 90 to 114 degrees Fahrenheit; if you become overheated, you can blissfully cool off in the snowmelt that rushes through the river. 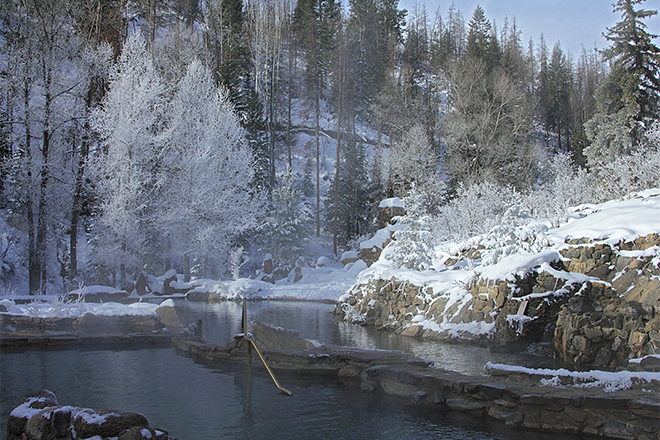 Trimble Hot Springs (Durango, CO) - A soak in these secluded Colorado hot springs is sure to melt your stress away. These pools are divided for temperature options of 104 or 106 degrees and offer exquisite views of Hermosa Valley's red cliffs. Old Town Hot Springs (Steamboat Springs, CO) - Active for over a hundred years, the Heart Spring produces 220 gallons of 102 to 103-degree mineral water per minute. This spring supplies undiluted mineral water to the property's pools. Ouray Hot Springs (Ouray, CO) - This city-owned hot spring supplies 3 large soaking pools ranging in temperature from 88 to 108 degrees. Because the spring has a naturally low sulfur content, you can submerse yourself in the pure mineral water without smelling sulfur. Glenwood Hot Springs Resort (Glenwood Springs, CO) - Let your worries drift away while bathing in the world's largest hot springs pool. The large pool is kept between 90 and 93 degrees, while the smaller therapy pool stays at 104 degrees. Strawberry Park Hot Springs (Steamboat Springs, CO) - Immerse yourself in 104-degree mineral water and relax in the midst of a magnificent forest. After the sun sets, this hot spring becomes clothing-optional. Wiesbaden (Ouray, CO) - This resort features a unique, communal vibe that one would expect to find in a European hostel. While the large pool is beloved by many, the vapor cave is the most popular attraction. Orvis Hot Springs (Ridgway, CO) - The ultimate escape, these secluded Colorado hot springs have a strict rule that prevents the use of cell phones and cameras. The large pool features a gravel bottom, where the spring naturally bubbles up from the ground. There are also 4 smaller pools, a cold plunge, and 3 indoor pools. 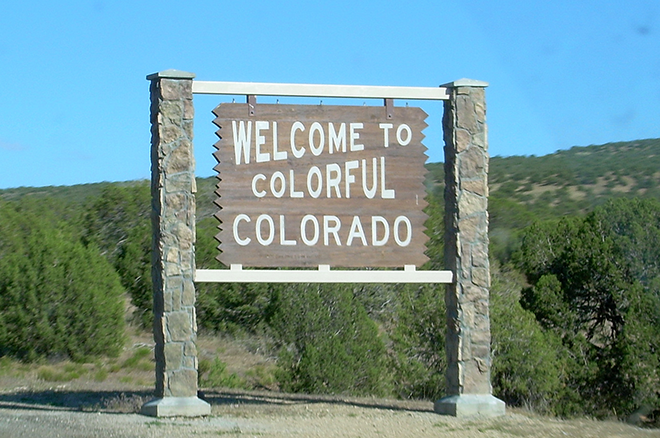 Regardless of where you choose to go to enjoy a natural hot spring in Colorado, you can rest assured that you'll reap the many health benefits of soaking in steamy mineral water. From eliminating toxins in the body to absorbing the essential minerals, hot springs gives the body and the mind a natural boost. Plan your trip to one of these 10 best natural hot springs in Colorado today!